Getting ready for summer vacation or a trip to Europe? This book-style wallet will come in handy. 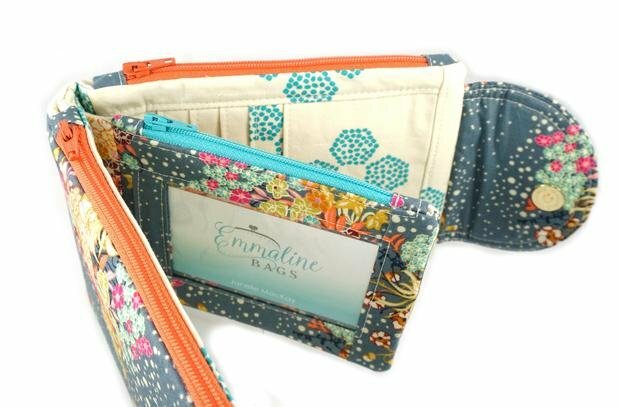 It features 2 full-size zipper pockets, center zipper pouch with ID window and 2 sections of credit card slots. This wallet can truly fit it all. Pattern purchase through TQS is required.